Background: Dr. Emily Ptaszek received her doctorate of psychology from Loyola University in Maryland. She has been certified by the American Board of Professional Psychology. Experience/Role: With over 10 years of clinical experience, Dr. Ptaszek came to the Healthcare Network from the US Department of Veterans Affairs, where she specialized in treating post traumatic stress disorder. Dr. Emily Ptaszek oversees daily operations of the Healthcare Network’s sites to ensure optimal functioning of staff and processes. Dr. Ptaszek also directs the Behavioral health program at Healthcare Network in addition to management of the organizations various academic partnerships. Affiliations: Dr. Ptaszek serves on the local advisory board of the Senior Friendship Health Centers, as well as board of Healthy Start of SWFL. Background: Dr. DeChirico is Board Certified in Internal Medicine and earned her medical degree in Osteopathic Medicine from the University of Osteopathic Medicine and Health Sciences, Des Moines, IA. Experience: Dr. DeChirico brings over 20 years of business experience in clinical and service line development to her role. Affiliations: Dr. DeChirico is a Fellow in the American College of Physicians and is an active member of the American Association for Physician Leadership (AKA: American College of Physician Executives). She is actively advancing her leadership and executive education through the Association and has achieved Certification as a Physician Executive (CPE). Background: Sandra Steele received her B.A. in accounting from Bowling Green State University and her M.B.A. with honors from Suffolk University. Experience: Sandra joined Healthcare Network with nearly 30 years of experience in financial management in the not-for-profit healthcare industry. Role: Sandra’s responsibilities include financial planning, forecasting, trend analysis, grant and tax reporting, treasury management, internal audit, general and cost accounting, purchasing, facility management and billing. 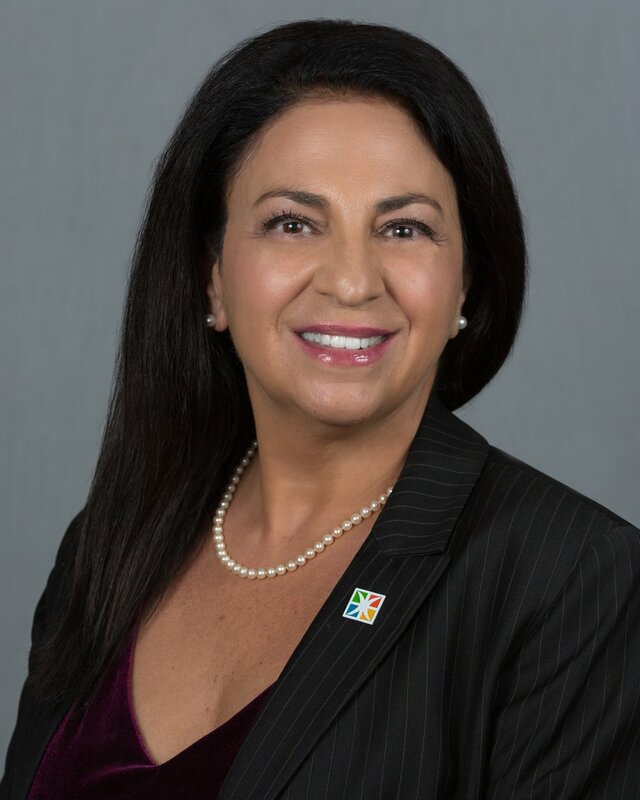 Affiliations: Sandra is a licensed CPA in Florida, and she is a fellow of the Academy of Healthcare Management and a member of the Florida and American Institutes of Certified Public Accountants and the Healthcare Financial Management Association. Background: Dr. Jorge Camina is a graduate of the Ponce School of Medicine in Ponce, Puerto Rico and completed his pediatric residency at the University of Florida. He has been certified by the American Board of Pediatrics since 2004. Experience/Role: A pediatric provider with Healthcare Network since he completed his residency, Dr. Camina sees patients at the network's Children's Care Golden Gate location while also serving in his administrative role. Background: Steve Wheeler graduated with honors in business management from Keystone College in Pennsylvania and is a certified hotel administrator. Experience/Role: Prior to joining Healthcare Network, Steve served as Chief Development Officer for David Lawrence Center and Senior Director of Development for Lee Memorial Health System Foundation, where he was instrumental in the capital campaign to build the Golisano Children’s Hospital of SWFL. Steve oversees the fundraising for the Healthcare Network foundation and utilizes his extensive connections to bolster partnerships and collaborations in the local community. Background: Prior to joining Healthcare Network, she was a part of the human resources team for the Naples Grande Beach Resort (formerly The Registry and Waldorf Astoria) for thirteen years. As the director, Julie supervised and provided consultation to management and ownership on strategic staffing plans, compensation, benefits, labor relations, budget, and training and development. Julie maintains multiple professional certifications (SHRM-CP and PHR). While there, she was named a brand ambassador by the Waldorf Astoria and led brand and culture training across the United States and the Caribbean. Additionally, Julie served as an international recruiter, traveling throughout Europe and the Caribbean, to secure seasonal staffing for hotels and resorts throughout central and south Florida, including properties in the Keys. Background: Trey attended Auburn University (War Eagle!) where he received a bachelor’s degree in psychology, then continued on to earn his Juris Doctor from the University of Miami School of Law. Experience/Role: Trey began working for Healthcare Network in 2013 and today serves as general counsel for the organization. In this role, Trey works on both general legal matters and matters that deal with the particulars of being a Federally Qualified Health Center. Affiliations: Trey is a member of the Florida Bar and serves on the board of the Collier Resource Center, Inc.